Many clients I come across as an estate planning attorney have been married for 30 or more years. I recall once when a couple who had been married for 37 years came into my office to engage in estate planning. I encouraged them to plan for remarriage if either of them died. They both giggled and laughed and said, oh my gosh, how silly. We don't need that. We're very confident in each other that each of us will take care of our kids and not be influenced by a new relationship. In a weird twist of fate, six months after completing their plan, the husband came back in with a blonde bombshell 20 years his junior at his side. He explained to me that, soon after executing the plan with us, his wife contracted cancer and died within three months. Now, three months after that, he had this newfound “friend,” and he was asking me to change his trust to make her a beneficiary and not his children. I reminded him of the planning he and his wife set out, and he was adamant to say, “Nope, we decided we could do whatever we wanted.” Unfortunately, his version of whatever he wanted and his wife’s were different for me than they were for him. Needless to say, I refused to do the work; he fired me and found another lawyer to make his modifications. The LWP™ Client Centered Software has extensive remarriage planning options – but it also has provisions to address if a husband and wife that we did estate planning for decide to divorce before they die. I've had this happen on a couple of occasions. The key question you must ask yourself in this situation is, what type of planning did the client do? If your client did traditional estate planning consisting of wills, healthcare proxies, powers of attorney or a revocable trust, then it becomes critical after a divorce to amend those plans to accommodate each spouse’s new goals separately. But, what if your married clients did an irrevocable asset protection trust as part of their planning? In the Lawyers with Purpose Client Centered Software (LWP-CCS) system, the traditional trust we would use to protect against creditors, predators and to ensure the client is eligible for Medicaid and other needs-based benefits is an IPug®, which is an Irrevocable Pure Grantor Trust®. If you think about it, an IPug trust or other asset protection trust is set up to protect against creditors and predators and to ensure that the client is eligible for state-funded long-term care benefits should the need arise. But what about protecting from each other? A properly drawn IPug protection trust provides the terms for a divorce. The trust clearly identifies the beneficiaries of the irrevocable trust during the couple’s life and after their death. Interestingly, the LWP-CCS has a customized divorce provision in the trust that ensures that, if the grantors divorce, the trust bifurcates and all of the terms and provisions related to each spouse apply to them in the separate trusts. Further, the provision eliminates all references to spouse, and thereby creates the trust for the other beneficiaries as if the spouse were deceased. So, the question becomes, what does it mean when the trust bifurcates and thereafter is managed in accordance with all of the other trust term provisions? That's where the drafting of your IPug trust becomes critical. In the LWP-CCS trust system, you are able to customize the contributions of each spouse and include them on separate and/or joint schedules. In addition, the question of whether you design the trust to separate a deceased spouse's assets for the benefit of the surviving spouse will be critical in determining what happens in the case of a divorce. By separating assets into two schedules, bifurcated trusts are created. Each spouse then manages his or her funds through the bifurcated trust. This ensures that, when a spouse passes a way, all assets of the individual deceased spouse will be allocated to the separate bifurcated trust, thereby sheltering said assets from the living spouses subsequent remarriage and divorce. The trust further includes protective provisions regarding divorce for the trust beneficiaries through the disability panel, specific bequests and other customizations. So, as estate “planning” attorneys, we must not only be concerned about protecting the assets from our client's remarriage after the loss of their spouse, we can also ensure that proper divorce planning is accomplished at the same time. Hey, like Prego spaghetti sauce, it's in there. The LWP-CCS has you covered. Hopefully they'll never have to use it, but for those few times it happens, it's nice to know there'll be one less thing to worry about. In the LWP-CCS trust system, you are able to customize the contributions of each spouse and include them on separate and/or joint schedules. In addition, the question of whether you design the trust to separate a deceased spouse's assets for the benefit of the surviving spouse will be critical in determining what happens in the case of a divorce. By separating assets into two schedules, bifurcated trusts are created. Each spouse then manages his or her funds through the bifurcated trust. This ensures that, when a spouse passes away, all assets of the individual deceased spouse will be allocated to the separate bifurcated trust, thereby sheltering said assets from the living spouses subsequent remarriage and divorce. the trust further includes protective provisions regarding divorce for the trust beneficiaries through the disability panel, specific bequests and other customizations. It’s time to check out what becoming a Lawyers With Purpose Member would look like for you and your practice. If you’re even at all curious about what we offer in the Lawyers With Purpose program and how becoming a member will forever change your practice, you owe it to yourself to spend a few minutes reading through this page: www.joinlwp.com. Make a change in your practice for 2016 and join us! “But I won’t ever need Medicaid. I’ll be in a VA nursing home.” You may have heard this before from a client in your attempts to consider the possible need for Medicaid in a veteran’s estate planning. Hopefully the client will never require skilled nursing care, but the reality is that the VA will only pay for or subsidize veterans who need nursing home care due to a service-connected disability or any vet with a combined service-connected disability rating of 70% or more and who need skilled nursing care. The VA only provides nursing home care for individuals in other categories IF beds and resources are available. The first type of nursing home is one not affiliated with the VA at all. These are private facilities, and probably the majority of nursing homes in which your clients may reside are of this kind. The second type of nursing home is a state veterans’ home that is owned, operated and managed by the state, but must be formally recognized and certified by the VA on an ongoing basis. The state, however, determines the criteria for admission, even though the facility may receive funds from the VA to help subsidize the cost of care to veterans. The third type is what is commonly called a VA nursing home, even though the VA doesn’t call them nursing homes anymore. The VA introduced the term “Community Living Center” and seeks to make the nursing home as much as possible like a real home. As stated earlier, only veterans with both a documented need for skilled nursing care and who have a service-connected disability that meets certain criteria will qualify for this care at a VA nursing home at no charge. Veterans with non-service-connected disabilities and veterans with lesser-rated service-connected disabilities can apply as long as they require skilled nursing care, but they may be subject to long-term care co-payments. There are also some other limitations if your client insists on a VA nursing home. There are far fewer of these than the other types of nursing home, and thus there might not be a VA nursing home in your client’s geographical area. State Veterans Homes are fortunately much more common. You can find a directory of State Veterans Homes at the website of the National Association of State Veterans Homes at http://www.nasvh.org/StateHomes/statedir.cfm. Furthermore, you can’t just decide you are going to a VA nursing home, even if you believe you meet the level of care and rating requirements. There is a process to be evaluated for VA nursing home care. You must first be enrolled for Veterans Health Benefits, which is another process in and of itself and can include an evaluation of income and assets. For example, veterans with non-service-connected disabilities applying for extended care or the Nursing Home Care Unit may be required to complete the VA Form 10-10EC to determine the family's current income and assets. Then, once enrolled with the Veterans Health Administration, you must then be evaluated by a primary care provider or a geriatric specialist for nursing home care. Another limitation of VA nursing homes is that they generally only accept veterans and not surviving spouses. Some State Veterans Homes do admit surviving spouses and even parents, but that depends on the state. For example, California has veterans assisted living facilities and skilled nursing facilities that will admit spouses, but California also has aggressive estate recovery policies to recoup state funds used to pay for those facilities. Finally, veterans who qualify for VA nursing home care may not always remain qualified. Veterans may be discharged from a VA nursing home without consent when VA nursing home care is no longer needed; for example, if the veteran's needs can be met at home or in a private nursing home close to the family. If, despite all these hurdles, your client still wants to explore skilled nursing at VA expense or any other long-term care resources of the VA, visit the VA’s webpage at http://www.va.gov/GERIATRICS/index.asp to find information related to geriatrics and extended care. Yet, as you work on your practice goals and plans for 2016, please know that the guidance and mentorship you receive here is only THE TIP OF THE ICEBERG of what we offer at LWP. We want these same results for YOU in 2016! It’s time to check out what becoming a Lawyers With Purpose Member would look like for you and your practice. 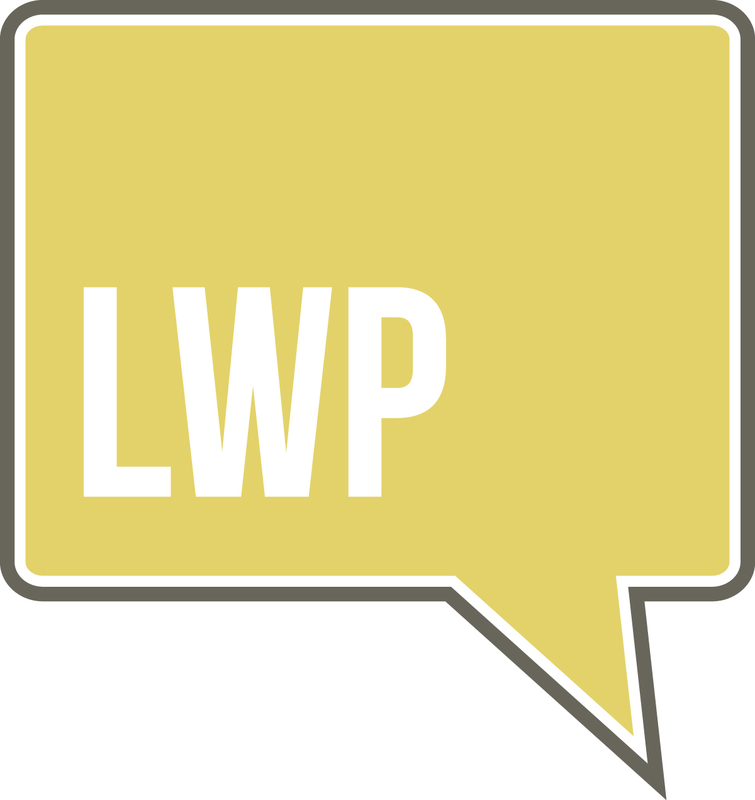 If you’re even a little curious about what we offer in the Lawyers With Purpose program and how becoming a member will forever change your practice, you owe it to yourself to spend a few minutes reading through this page: www.joinlwp.com. Sabrina A. Scott, Paralegal, The Elder & Disability Law Firm of Victoria L. Collier, PC and Director of VA Services for Lawyers With Purpose. It's that time of the year when we look back on what has occurred over the year and begin to get hopeful for next year. As I think about 2015, there are so many things I am grateful for. I have made tremendous progress in my business, continued to develop great relationships with family and friends and built a phenomenal team of individuals who are committed to going beyond their comfort level to help others. Underlying all of this progress is the faith that my parents gave me and that I continue to treasure. It lets me know there is a reason and a place and a God who ensures that I'm never given more than I can handle. My family is a blessing of unconditional love, continuous fun and outward contribution to all those we come in contact with. All of this is made possible by the selfless team that comes to work each day to help carry out the dream we have envisioned, one that others add upon to have impact on the world and help those we can to move them forward to fulfill their needs. As I look back, there are plenty of challenges in my life over the past year as well, but what I'm most grateful for is that through each one, I was able to grow and learn and enhance relationships necessary along the way. I'm grateful for my business partners, who provide respectful pushback and unique insights. I'm grateful for my spouse, who smiles and supports me in all my endeavors, even those that may seem “out there.” I'm grateful for the community of family and friends and the joy derived by day-to-day interactions and living in the present with all of them. I'm also grateful for those of you who take the time to open my blog posts and read them. As you look back on 2015 and look forward to 2016, I hope you can find all the things you are grateful for and identify how you want to make your mark on the world in 2016. Happy Holidays, whatever your holiday is, and may your best day of 2015 be your worst day of the New Year. As an estate and elder care attorney, I have the privilege of being invited into the lives of others. Many of them have lived glorious days, while others are still trying to create a plan to survive. While learning about their immediate needs, I also get to see what their family is like, what they have achieved or haven’t, and their attitudes about aging. I have the perfect insider’s view of what my life could be. And for that, I am truly grateful for my spouse, who has supported me through 19 years of life experiences and business ventures, and my children, who make my heart melt just with a smile. I am grateful that we all have good health and good attitudes about learning and living. In full circle, helping families create estate and long-term care plans helps me to be aware of and to be able to help so many more seniors and veterans maintain quality of life as they age, as we all age. Family – I know this one can land like it's rather “rogue.” Every award acknowledgment, sporting event and gratitude exercise begins with some rendition of thanking family. Without truly enjoying my family, our time together and all the hobbies and interests we have together, my personality would allow for me to be a workaholic. I know all too many people who hide out in the “busy and important” parts of their work because being intoxicated in work, “overwhelmed and stressed” sounds much more attractive than spending time with their family. I know it sounds horrifying, but it is sadly true. I am so grateful for my family and the amazing year we had: camping, swim team, golf team, lacrosse, softball, hiking, Mexico, skiing, snowshoeing, dinners with friends, and belly laughing at many movies. This year in particular, I don't take for granted the uniqueness of our quality family time and the absolute fun we have together. Health – Every time I open my smartphone and see a group text from my siblings and/or load Facebook, I would be losing if I didn't silently say a quick prayer this year. It felt like everywhere I turned there was an update with another friend, family member, neighbor or colleague who was faced with some version of an illness, health scare or death. There is a part of me that is in denial around “we're at that age,” but this year in particular it seemed like it was everywhere – young, old and in between. This year I am deeply grateful for my health and my children's health and that we are alive and well. That really felt like an enormous victory this year. I'm already creating and planning for our 2016 health goals and ways we can proactively create up-leveled conscious health goals. Purpose – What I get to do day in and day out is not “work.” The eight-plus hours a day I spend outside my family, sleep and yoga time feels like a daily, hourly purpose-driven mission. Whether it's in writing, coaching, teaching a webinar, partners meetings, creating marketing content or leading a demonstration for prospective members craving a new way of life and practice, I don't take my part lightly. I owe it to each piece to be fully present and fully coming from a place of passion, purpose and difference-making. We want to take this moment to say THANK YOU to all our members, their team, our power partners and speakers for a most wonderful and blessed 2015. We look forward to locking arms with you all again in 2016 and making it the best year yet! So you've done an estate plan for a client, you've created a will, a healthcare proxy, a power of attorney or even a revocable or irrevocable living trust. And all is well. The client is happy, you've completed your work and you move on to your next client. Inevitably, a month or two down the road you get a call from that happy client with a "quick question." That's where it all starts to go downhill. The client asks the quick question, which, after you clarify, does not have a simple answer. Usually, your solution sounds something like, "Well, I would have to look to see what your trust says, and you may have to modify it," or, "Well that's simple, all you have to do is ABC, 123." The trick is, do you charge your client for the answer to this "quick question?" Most lawyers don't, and if you do, you might run into a different expectation with your client, who thought it was “included." If you're not careful, it can be a no-win situation. So what do you do? The best solution I have found is to engage my clients in a maintenance program. At Lawyers with Purpose, we have our TLC™ Maintenance and Fee Guarantee Program, which allows clients to pay a small annual fee and have access to us year round for their "quick questions." In fact, we even notify them when there are changes in the law and invite them in no less than once a year in group sessions to discuss the changes and allow them to opt to modify their planning to accommodate the new laws. Along the way during the year, clients can call with any questions that come up, as can their financial advisors and tax advisors. While many lawyers view this as burdensome and time-consuming, consider the opposite – that it turns your transactional relationship with your clients into meaningful long-term relationships, making it likely that they will refer more clients. In addition, when we are taking calls from clients' financial and tax professionals, it's actually a wonderful marketing opportunity. They come to know of our unique asset protection planning strategies and get comfortable with us. They can see how we work, and that encourages them to work with us. In the 15 years I have had my maintenance program, I can assure you that it has been a great experience for not only our clients, but for us. We actually have two social gatherings a year – one in the summer and one during the holidays – and they are well-attended. Clients ask if they can bring friends and/or family and encourage them to do planning with us so they can join our maintenance client community. We also have quarterly specialty workshops in which we invite outside experts to talk on topics requested by our clients, and each session is recorded and put on the special maintenance member-only section of our website. Our clients feel special, and our maintenance family has grown to almost six hundred families. The best part of the maintenance program is that it's actually profitable. We charge $595 per year for this all-access benefit. When you multiply it out by hundreds of families, it's quite profitable, as all of the work is done generally in group sessions. In addition, it keeps you connected with your clients and ensures that their plan actually works because, as their life changes, you are able to modify the plans to accommodate them. The one area you need to guard against with a maintenance program is overtaxing your staff with maintenance work in any given week. Doing so can really crash your short-term cash flow, but you always have access to the maintenance monies that traditionally come in during January and sit in your bank account as a "savings" to finance any new projects or growth you want during the year, or to subsidize the cost in a month where there is excessive maintenance work needed. So, you're getting calls from clients anyway, why not do it in an organized fashion and turn it into a relationship-building experience for your clients and their financial and tax professionals. Let Lawyers with Purpose show you how. Join me on Friday, December 18th at 2 EST for a FREE webinar on "The Most Profitable Planning You'll Ever Find: For Year End & Year Begin" just in time to kick off 2016 with fierce momentum. Click here to register now and kick start 2016. If you're an LWP Member - you've already got access to these tools - just reach out to your implementation coach or members services on where you can find it on the members website. When applying for Wartime Pension benefits through the Veterans Administration, the claimant must meet both income and asset limitations. Practitioners focus mostly on reducing assets to qualify; however, the claimant’s income must also meet the income standard. A claimant’s yearly family income must be less than the maximum annual pension rate (MAPR) amount set by Congress for any particular year to qualify. Unlike transferring assets to qualify, a claimant cannot transfer income in order to reduce or eliminate it for VA purposes. Sometimes the only way to reduce countable annual income for a claimant is to provide documentation to the VA of allowable medical and dental expenses to offset that income. Considering how medical expenses play a crucial role is critical to a successful claim. What medical expenses may be submitted? The VA Adjudication Manual gives a more detailed list of common allowable medical expenses in M21-1MR, Part V, Subpart iii, Chapter 1, Section G.42.c. From the total annual medical expenses that the VA considers, only that part which is more than 5% of the maximum rate of pension for your particular claimant may be deducted from income. Thus, you must always consider this deductible when seeking to offset income with medical expenses. The Lawyers with Purpose VA Qualification Worksheet automatically makes this calculation for you. The VA must consider all expenses that are directly related to medical care, even though this care does not necessarily have to be provided by a licensed health professional. This applies most notably in the case of home health care when the “VA has rated the disabled person (beneficiary or Veteran’s spouse if the Veteran is dually entitled to compensation of at least 30 percent) entitled to A&A or Housebound,” M21-1MR, Part V, Subpart iii, Chapter 1, Section G.43.d. Medical expenses should be submitted to the VA at essentially three different times: at the initial application stage, and once approved, after the end of any particular calendar year and whenever there is a significant change in medical expenses. There are two categories of medical expenses that the VA recognizes: prospective and actual medical expenses that are related to when you submit medical expenses. Pursuant to the VA Adjudication Manual M21-1MR, Part V, Subpart iii, Chapter 1, Section G.44.d, “normally, medical expenses are deducted from an award after the fact, based on the claimant’s report of expenses actually paid. However, under 38 CFR 3.272(g), medical expenses may be allowed prospectively if the claimant is paying recurring nursing home fees or other reasonably predictable medical expenses.” When you first apply for VA benefits, you should submit prospective medical expenses for the 12-month period following the effective date. Unfortunately, nowhere is it defined what is considered “reasonably predictable,” and this determination is left to the discretion of the individual adjudicator. In my firm’s experience, the VA will often not consider prescription costs, incontinence supplies, or over-the-counter medical supplies or medications as “reasonably predictable” recurrent monthly medical expenses. After approval of VA benefits, all actual medical expenses may be submitted for the VA’s consideration. You have until the end of any year to submit actual medical expenses for the prior calendar year. You only need to submit actual medical expenses each year if you are relying on those actual expenses to offset income. If the recurring medical expenses are sufficient to offset the claimant’s income, there may be no need to update the VA annually regarding actual medical expenses. The only other time you should submit medical expenses to the VA is when these change significantly. An increase in medical expenses may not make a difference in the amount of benefits paid but should be reported to the VA nonetheless. A decrease in medical expenses may mean a reduction or even termination of benefits, thus it is important to notify the VA as soon as possible regarding a decrease in order to avoid a potential overpayment of benefits. The main application forms for non-service-connected pension – the VA forms 21-527EZ and 21-534EZ – both have small sections for reporting medical expenses. However, there is one specific VA form used exclusively for medical expense submission: VA form 21P-8416 “Medical Expense Report.” You are, however, not required to notify the VA of medical expenses using this particular form. As long as your submission includes the specific purpose for which the payments were made, the amount paid, the date paid, the name of the provider, and for whom the expense was paid, that is sufficient to constitute notification. Generally the VA will accept notification of medical expenses without supporting documentation like receipts unless the adjudicator has cause to question any of the expenses. For this reason, you should advise your client’s family to maintain records of all medical expenses for at least three years, in case the claimant is ever called upon to substantiate those expenses. In January 2015, the VA issued proposed changes to the regulations governing deductible medical expenses. Of note, when the rules become “final” (expected in February 2016), the VA will no longer count the fees charged by independent living facilities as deductible medical expenses and will cap the deductibility of home health care at $21 per hour. Please join Dave Zumpano, Sabrina Scott (Director of VA Services, LWP), Kimberly Brannon (Technical-Legal) and me on Monday, December 14 at 4:00 pm eastern as we have a panel discussion of the 2016 VA changes, VA planning and accept your questions. It is our duty as the leading estate planning attorneys in the nation to be prepared and educated on the VA changes coming in 2016, and we at LWP are excited to make sure all of our members are ready and educated when the changes take place. Our revenues have grown each year since joining. I was very satisfied with my income in 2014, but this year we’re on track to double our revenues. What is your favorite LWP tool? I’m most pleased with the system, rather than an individual tool. It’s everything LWP provides that has made us successful – the software, the initial and periodic training, the coaching, the webinars, the marketing materials and “the process.” Everything works together in an integrated fashion so that our clients get good results in a timely manner. We’re “on the same page” with how things should be done. We’re much more efficient and effective because we don’t have to spend additional time on decision making and communication. We do those things, of course, but we’ve already reached agreement on many issues and know what to expect. Are You Power In Partnership? Many years ago, a system designer worked side-by-side with me for three years to design all of the systems and processes that are now known as the Lawyers with Purpose law practice management system. Interestingly, over the course of those three years, this systems analyst discovered another system, a system of how I operate personally. In fact, he was so befuddled by it, he gave it a name: Power in Partnership™. But this isn’t about me, it’s about the standards he identified to be an individual who lives by a “Power in Partnership” mindset. He continued on to say, “You know, we have spent so much time creating the system about how to run an estate planning practice, I think what I've hit on here is a whole way for someone to operate their life. I want to call it Power in Partnership.” I looked at him with intrigue and we began to design our final system – what it means to be a Power-in-Partnership-minded individual. In its final form, someone is Power in Partnership if you are willing and able to get behind the needs of another person and work wholeheartedly to help that individual achieve their goal, need, or objective. I have found countless people who are generous in helping others, but it was the second part of the definition that distinguished a Power in Partnership mindset. Let me continue. The second half of the Power in Partnership definition continues with the word “and, you are willing and able to enroll the other person into your need and make sure they are able to help you accomplish your goal, need or objective.” Wow. That's where most people fail. They are so good at helping other people with their needs, but they sell themselves out in the process. They fail to set proper expectations and in the end can often fail in their attempt to be generous because there was no “agreement up front.” This is so counterproductive and disheartening. The consultant working with me defined it by having an approach to meet others' needs that was always followed up with an approach to get the other to ensure that they work within your standards and guidelines. That way, if either party doesn’t, the other can hold them accountable to the agreement to get the intended result so that it's a win/win and benefits the world. That's Power in Partnership! That is the foundation from which all Lawyers with Purpose operate. We are willing and able to get behind the needs of our clients and help them accomplish their goal, need and objective, and we are willing and able to enroll our clients in our needs to ensure they help or support us to get our goal, need or objective accomplished. The key distinction here is we. That is, we must be responsible to enroll ourselves in their need and we are responsible to enroll them into ours. People are not ordinarily wired this way and do not automatically presume to meet your need, nor do they presume that you will meet theirs. That's why Power in Partnership is such an amazing model that leads to great contributions and solutions not otherwise attained. Are you Power in Partnership? Join Lawyers with Purpose and discover how to begin living a Power in Partnership life. If you would like to know more about what we have to offer you in membership, join us on Friday, December 19th at 2 EST for our FREE webinar "The Most Profitable Planning You'll Ever Find: For Year End and year Begin". Space is limited to reserve your spot today!